Introducing the US BANK STADIUMMMMMM! Either those are fireworks, or the entire city is orgasming. But it didn’t check out. Davis, speaking as a past honoree at the Minneapolis/St. Paul Business Journal’s Executive of the Year event in Minneapolis, told me that neither he nor his bank has made any such offer. Davis said the opportunity makes sense for the bank, but that such discussions would be premature since there’s no stadium location or financing plan yet. And I definitely did not, day before yesterday, have dinner with friends at Brit’s and swear on the patio that it was only a matter of time before this announcement happened. I was completely, utterly blindsided. Obviously my first thought is: “this really speaks to the quality of US Bank’s corporate leadership.” This is, after all, the same Richard Davis who brought us the popular Minnesota Orchestra lockout (Mr. Davis, in fact, was chair of the management’s negotiating committee for months, months, and months). And I remember during his tenure there, back in 2012, when regional finances were deemed so tight that the Minnesota Orchestra’s deficit of a few million dollars a year was rendered completely unsolvable by the combined wealth of the state. But since that “very painful time“, US Bank’s fortunes have apparently improved…so much so that they now have $220 million to invest in naming rights for a stadium. O, what bold and intrepid leadership! From dredging the lowest depths of poverty to buying a stadium name in a mere three years! That is some “fortitude and consistency of planning,” right there. Indeed, every Minnesotan taxpayer is in US Bancorp CEO Richard Davis’s debt. I want to make this pretty bold statement. Whether you like the idea that we’re going to build a new stadium — get over it. We are. Also, this would be an amazing potential campaign slogan. The stadium is a great catalyst for this community, and now that we have the stadium, let’s leverage it. And boy did that boy leverage! My admiration radiates. Look at the stadium mock-up image above. The nuclear-blast-like glow in the corner of the image is not the sun; it is the heat of my admiration glowing all the way from Wisconsin. 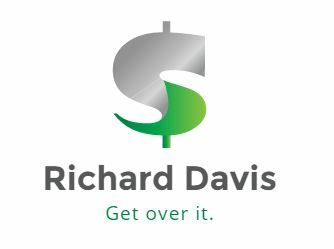 And I haven’t even begun to thank Richard Davis for his role in bringing the 2018 Super Bowl to the new US Bank Stadium, a push that, in hindsight, definitely had no selfish components to it whatsoever. As you can imagine, many of my Minnesotan friends and I are beyond excited to host the Minneapolis Super Bowl in 2018. There are a lot of things to look forward to, and this Star Tribune article details some of them. In fact, my Minnesotan friends and I frequently gather to debate which of the not-at-all onerous provisions we love best. Of course the final deal was secret (it would, after all, be much too complicated for little people to understand), but we do have a 153-page document of the National Football League’s Host City Bid Specifications and Requirements, so my friends and I work off that instead. Oh, you should hear our spirited verbal lunges! “Come ON, Emily! Why are you most looking forward to the free curbside parking outside a exclusive drop-in hospitality facility for the NFL’s most valued and influential guests to meet, unwind, network and conduct business? Clearly the highlight will be the government resolutions requiring high-level management at local airports to cooperate with those needing special services, including those arriving on team charters and private planes!” Yes, well, I do confess: it’s hard for me to choose a favorite part of the upcoming Super Bowl. I mean, after all, it’s the Super Bowl! It’s an international event that inspires puppy appreciation. Anyone who hates the Super Bowl hates adorably determined puppies. That’s a fact. I’d pay over a billion dollars (the cost of the stadium) to see Richard Davis rock this outfit at the 2018 halftime show. You laugh, maybe…but I can’t help it that I find Richard Davis so physically, emotionally, and spiritually attractive. The preceding entry has been brought to you by satire. Satire: ask your doctor if it’s the stress reduction method right for you. Hmm, has USBank now recovered sufficiently that it doesn’t need to furlough employees for a week? One of the reasons I moved to Mexico in 2008 was over the looming battle over the new Vikings stadium, and obscene amount of tax payer money behind it all. Then when both our orchestras were shut down I felt that MN had truly lost its way. Governor Arne Carlson demonstrated balance in discussions. The next sports cathedral to be built will be for professional soccer. It is part of the decline of culture. Just give me the arts, a good book to read and walks in the woods. see, now if we all hunkered down and SAVED, like Richard and his little mom & pop company have since that time they ran out of money to pay the electric for the MO, and had to pull the plug temporarily…why, goodness, do you think there’d be all this national malaise about ‘oh, boo hoo, the economy’s busted and I’m broke”? Gosh darn it, I say no!! I’m so grateful to Mr. Davis for showing once again how classy people behave, an example to all us feckless goobers I’m sure. It’s a good gig when press releases practically write your satire for you. Good sarcasm, er, critique* Emily. I would suggest that many of Mr Davis’ details are more clearly framing him to be a personification of modern American Corporate Leadership. 1. RD shorts the musikers, saves Society unnecessary expenditures for a cultural tradition that has become really so unpopular in this century, no matter how magnificent it might be for traditional cultural snobs. 2. The use of Orchestra Hall, recent renovated with lavish taxpayer money, can then be redirected toward popular music and other entertainment events, those more attractive to millennials whose tastes we all know are quite different. 3. RD’s USB Organization can further that cultural shift by supporting the new Viking Stadium built with lots of taxpayer money. 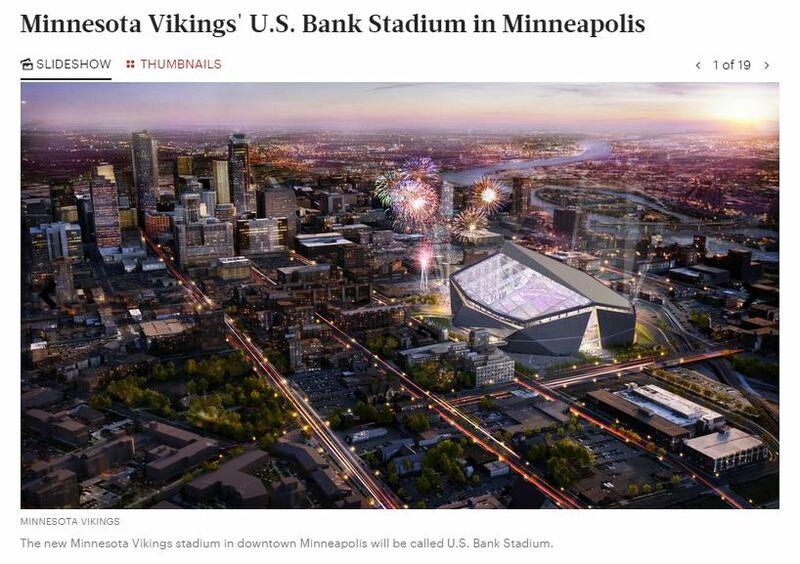 And, in the reality of Naming Rights, by putting USB on the facade and promo lit, perhaps [winkwink, nudgenudge] attracting more of those millennials to the Great American Sports Industry in Minnesota. 4. USB-sports synergies will enhance its share of the Great American Financial [aka Workertheft] Industry, with more attention from those lower-earning millennials. * for American Lit enthusiasts, compare Emily’s sarcasm with that of Samuel Clemens/Mark Twain: masterful, both masterful. Oh, Emily—- how you make me laugh! (along with some of these comments) I’m going to work “snicker-snack: into my conversations tomorrow at least 3 times.